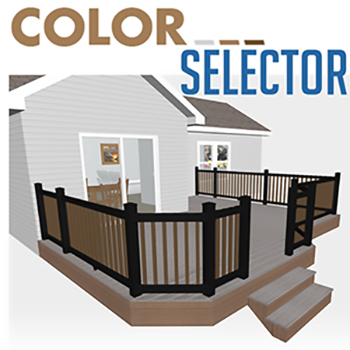 Looking for a local, professional fencing company in Tonawanda, NY for your deck installation project? Need high-quality vinyl decking for your pool deck, patio, or front porch? Whether you're planning on expanding your outdoor living space with a brand new deck, expand your existing structure, or want to replace your old, rotting wood deck with a long-lasting vinyl one, we're here to help. We're The Vinyl Outlet, and our team of friendly, experienced deck design and construction experts have the skills and experience needed to transform your yard into an outdoor oasis! Here in Tonawanda, NY, the long, harsh winters and hot, humid summers can really take a toll on outdoor structures like decks, patios, and wheelchair ramps. If you're tired of spending your weekends sanding rough, splintered boards, dealing with messy wood stain, or making repairs to your wooden deck, you'll love our ultra low-maintenance vinyl deck options. Vinyl decking is quickly becoming the material of choice among Tonawanda, NY homeowners who are looking for a durable, long-lasting alternative to wooden decks. Our preferred vinyl decking product is VEKA Deck, a premium-quality product that delivers exceptional value for our customers. It is fade and insect resistant, splinter-free, fire and water resistant, and never needs painting, staining, or sealing. VEKA Deck is available in a wide variety of attractive colors to match your existing exterior decor, and because it's made from PVC, a fully-recyclable material, it's environmentally-friendly too. To learn more about how we can help you and your family spend more quality time together in your backyard, contact us today for your free, no-obligation estimate for our professional deck installation services in Tonawanda, NY. As the leading supplier and installer of vinyl decking in WNY, you can trust our fencing company to deliver expert service and high-quality products that will look great for years!